Metallica performed the 1991 rarity, “Through The Never”, at the Ziggo Dome in Amsterdam, Netherlands on September 4, and the band are sharing professional footage from the event. 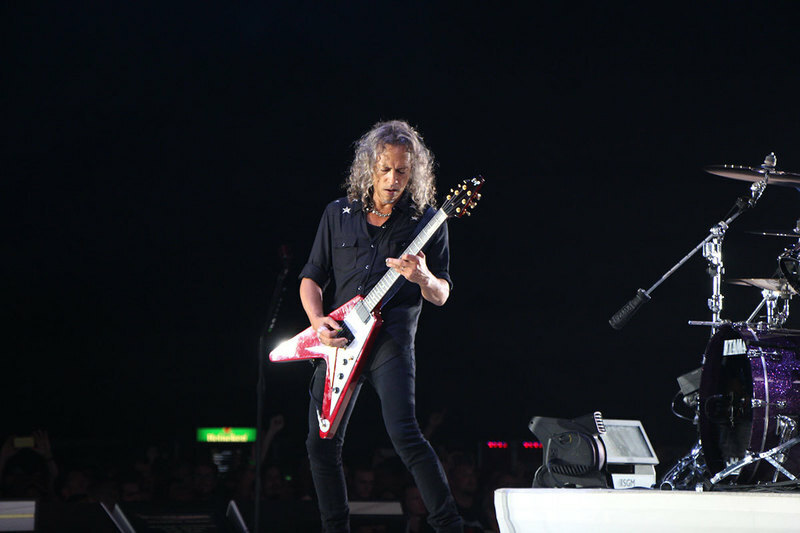 The first of two dates in Amsterdam made headlines when frontman James Hetfield fell into an open trap door in the stage during the 2016 track, "Now That We're Dead." The rocker took a tumble into the stage where one of four rectangular percussion tables would soon appear, before being quickly assisted by crew members while continuing to play the song. Watch footage of the Hetfield incident here. Metallica’s fall trek will wrap up with two dates in Antwerp, Belgium in early November before resuming with a spring 2018 leg next February.